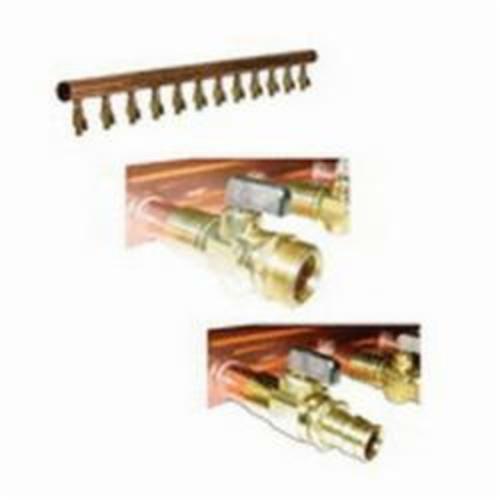 Copper valved manifolds with ProPEX ball valves are made of type L copper and feature 5/8 in and 3/4 in nominal branches that are 4 in on center. The manifolds are available in 12-outlet configurations. The maximum recommended flow to the manifold based on manifold body diameter is 45 gpm.